Look at the picture and try to guess the meaning of the idiom 'at a snail's pace.' In the picture there is a small animal with a shell that is called a "snail" in English. Are you familiar with this animal? If so, you can easily understand the meaning because this idiomatic phrase describes the speed (pace) of snail's movement. Here are some examples of this idiom. I'm never coming to this restaurant again—the serve the food at a snail's pace. I recommend you bring a book when you go to the post office. It's the holidays and they always work at a snail's pace this time of year. It took her six years to get her bachelor's degree and she wasn't even working. Her parents paid for everything while she was at university so she studied at a snail's pace. Traffic was moving at a snail's pace so I arrived 45 minutes late for work. Unfortunately the lines at both check-in and security are moving at a snail's pace so we are going to miss the flight. I'm going to hire a different painter for the inside of our house. The company we are using for the exterior is painting at a snail's pace. Is this a common idiom? 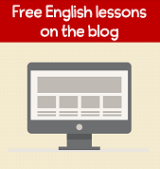 Yes, it is common to see and hear in written and spoken English. Practicing writing your own example will help you remember this idiom in the future. Do you work quickly or at a snail's pace? When was the last time you experienced something that was happening at a snail's pace? Do you have this idiom (or a similar one) in your language? 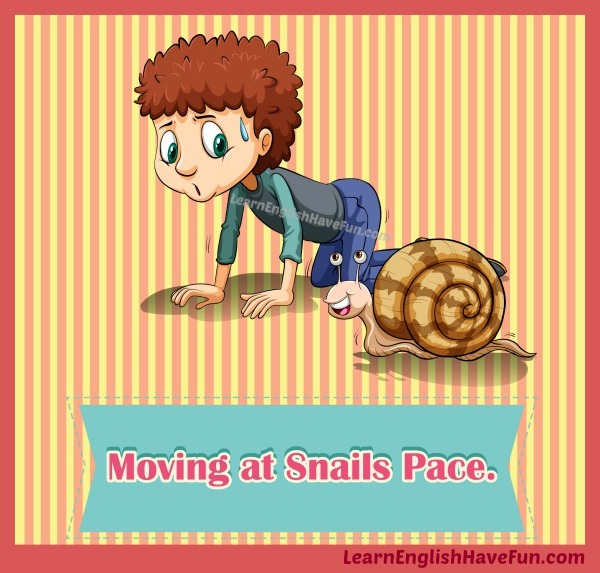 Return from "at a snail's pace" idiom to the main idioms page.